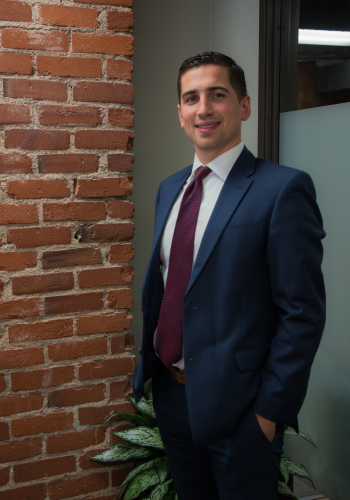 Connor W. Kavanaugh has practiced in the areas of Special Needs and Financial Planning since 2012. Originally from Seattle, he calls Oregon home after moving to Portland in 1996. Connor earned a degree in Finance from Portland State University in 2012 and also spent five seasons on the football field as an All-Conference quarterback for the Vikings. Connor has developed a specialty in assisting families create valuable financial strategies to help provide for the lifelong needs of their loved ones with a disability. In addition to his experience, Connor finished his Chartered Special Needs Consultant (ChSNC) designation from the American College in 2014, and earned his Certified Trust and Financial Advisor (CTFA) designation from the American Bankers Association in 2018. Connor serves on the Families and Community Together (FACT) Board, Portland State Alumni Association Board, the Portland State Athletic Department Advisory Board, he is a member of the Society of Settlement Planners, and the Academy of Special Needs Planners. Connor is the Founder of the Palladio Group and lives in SW Portland with his wife, Lexi, and their golden retriever, Hootie. Securities, investment advisory and financial planning services are offered through qualified registered representatives of MML Investors Services, LLC., member SIPC. (www.SIPC.org) Supervisory address: 5885 Meadows Rd., Suite 850, Lake Oswego, OR 97035. (503) 221-1211. Palladio Group is not a subsidiary or affiliate of MML Investors Services, LLC., or its affiliated companies. Palladio Group is licensed to sell insurance in: California, Illinois, Michigan, Minnesota, Missouri, Ohio, Oregon and Washington, and securities in: California, Illinois, Kansas, Michigan, Minnesota, Missouri, Oregon, Texas, Washington, and Wisconsin.